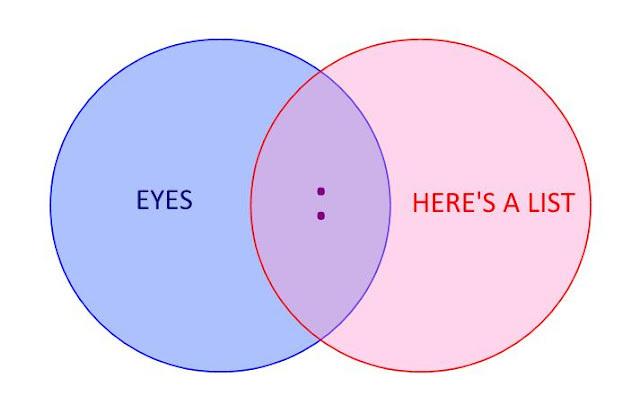 I'm just going to eaaaase right back into blogging, here, with a simple Vennsday. Do you remember when punctuation was just punctuation? When the most you could do to show emotion with it was a ... or a ?!?!?! You do??? Wow, you're old. This week's Venn diagrams will help you bridge that generational gap, and help you get over that frantic search for the opening parenthesis when you see this : ). Or, maybe, it will teach you about the old days, back when dinosaurs cared about the art and style of a well-constructed sentence. Back to basics. This is like the neanderthal of emoticons (emotithal). 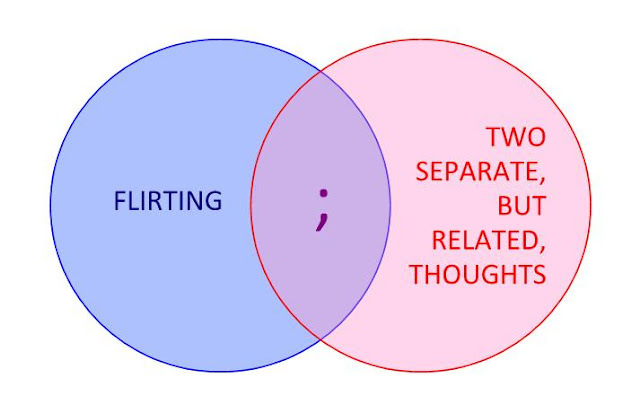 Semicolons are my favorite form of punctuation, but I can't actually wink in real life, so every time I use one of these ;), I feel like a fraud. I don't actually use the asterisk as part of an emoticon, but I do use it to denote degrees, because how the hell do you make a degree sign on the computer*?? *File this under things I should know, but don't, along with how to change my oil and whether one of them is "Kriss" and one of them is "Kross"